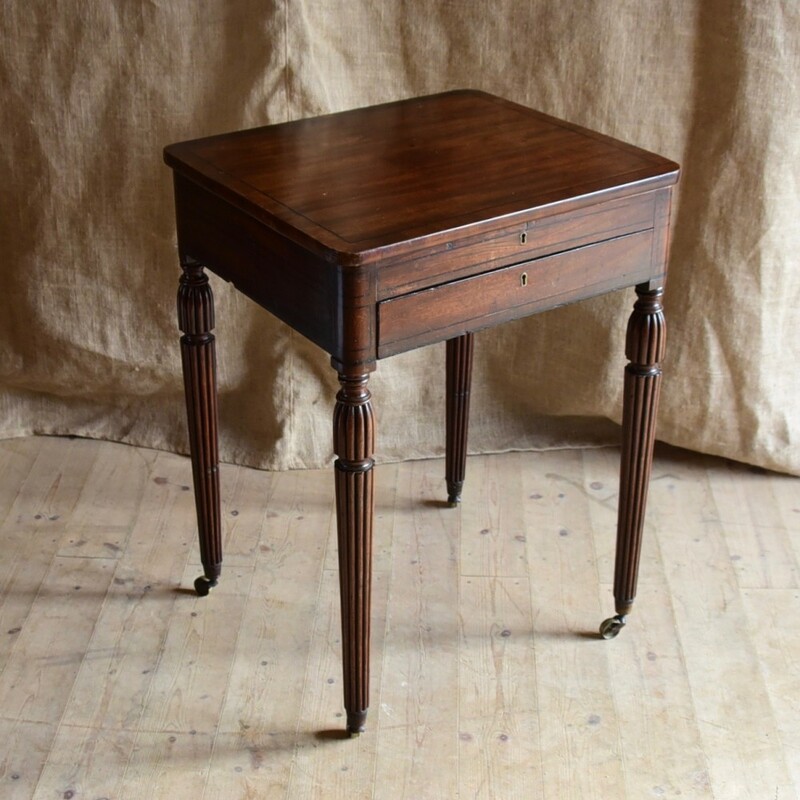 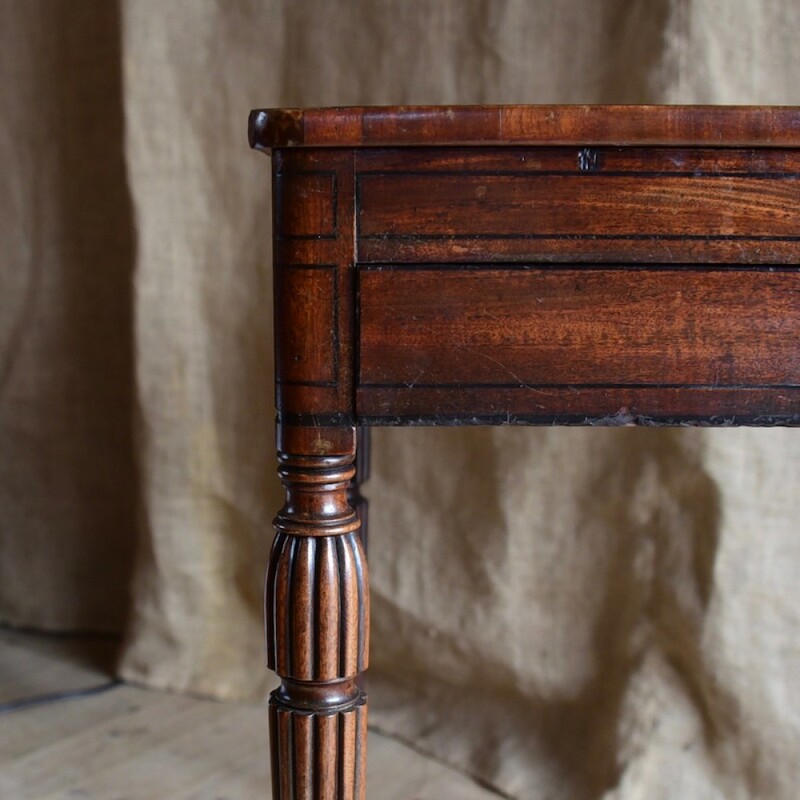 A beautiffully proportioned, small mahogany writing table/ lamp table stamped "Gillows-Lancaster". 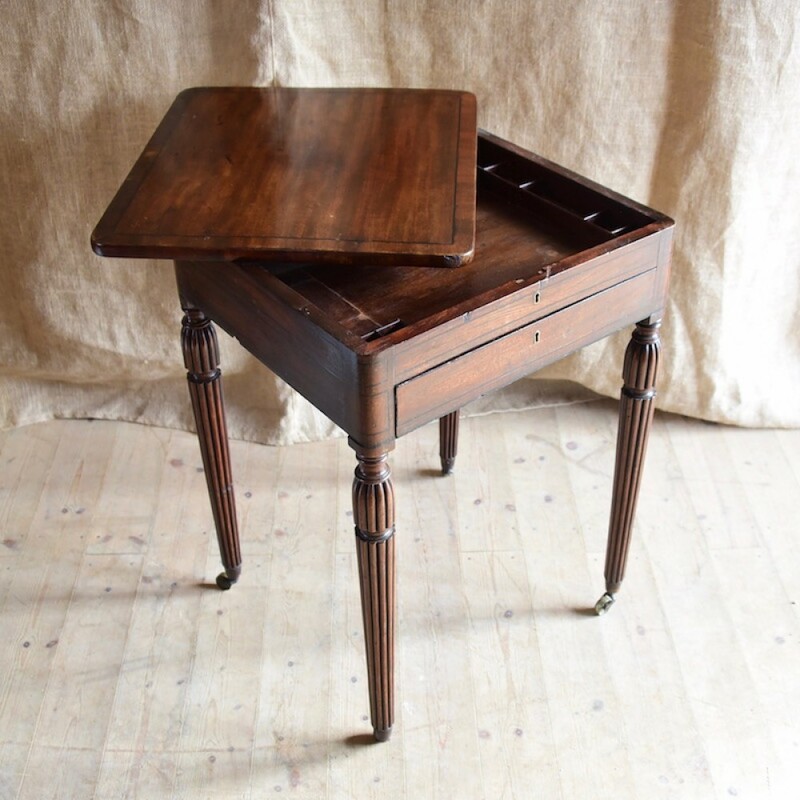 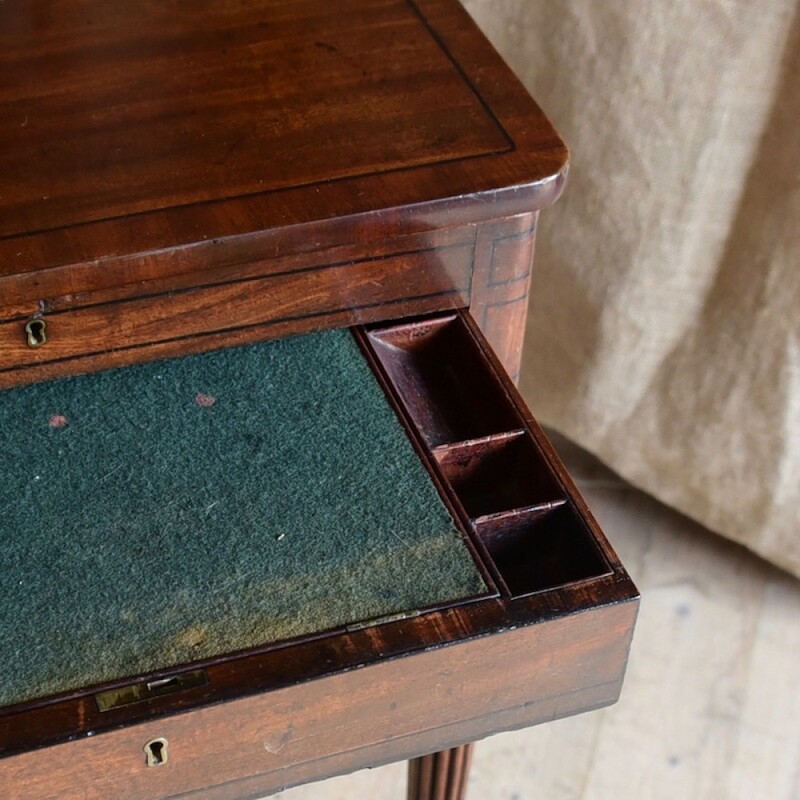 One drawer opens ro reveal a writing slope, the top drawer is in fact a dummy; the top slides over to reveal compartments and storage space - in need of a little restoration if needed for use as an item of correspondece furniture! 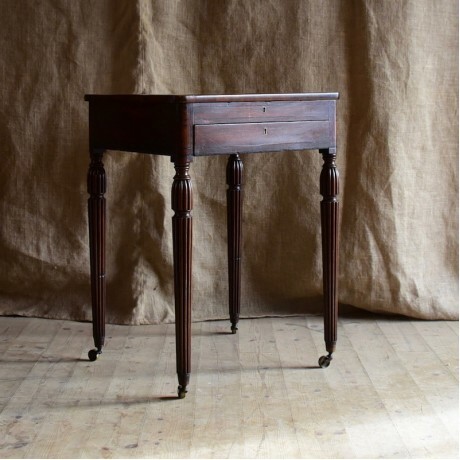 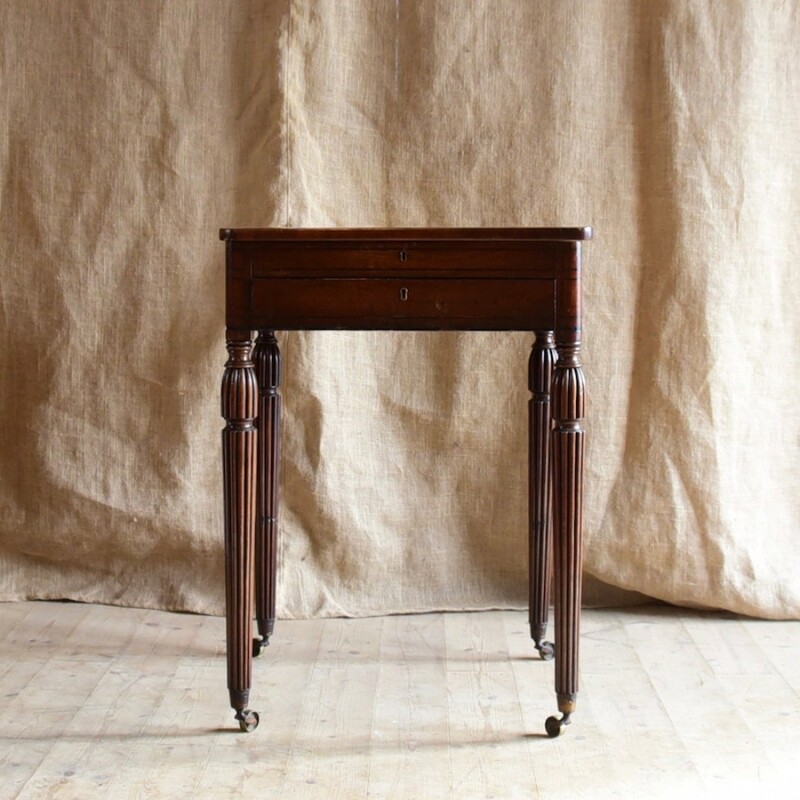 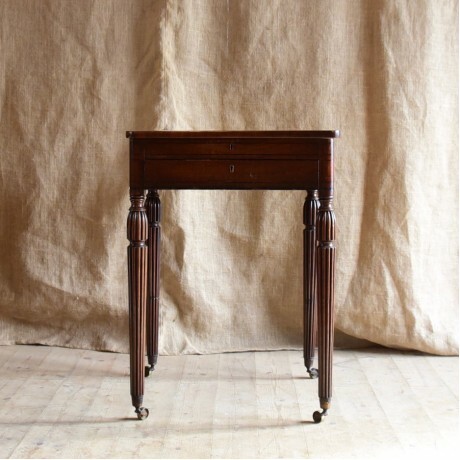 Elegant reeded legs on original casters.